Social media can help you become more grateful. You wouldn't know that from recent headlines claiming Facebook causes depression and discontent. Some have suggested that looking at photos of other people vacationing at the beach, kissing their partners and dancing on mountaintops makes us less satisfied with our own lives. Most of the research was done with college kids who spent a lot of time perusing other people's posts. If the students were already prone to envy, they tended to get … envious. It's a pretty crooked line from there to depression (and headlines)—though it can happen. Most people understand that every life has its good sides and bad sides. 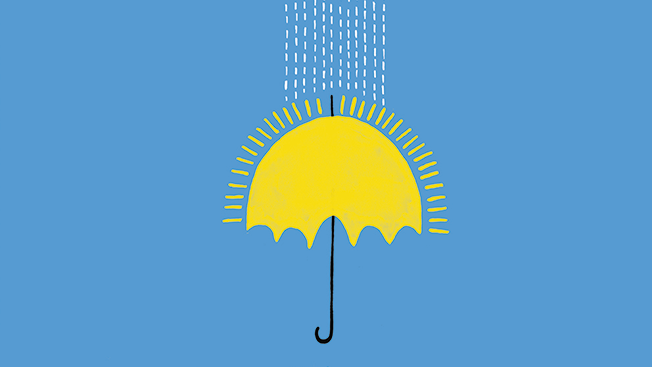 Psychologists say we're much more likely to focus on the negative than the positive. If five great things happen in a day and one bad one, it's the bad one we think about at 3 a.m. But people don't usually post the miserable moment on Facebook or Instagram or Snapchat. Instead, we naturally do what psychologists suggest and "reframe" a situation to find the positive. If it's been raining every day on your beach vacation, you take a selfie snuggled inside with a glass of wine and a good book and post something like, "Ahh, grateful for peace and relaxation!" Wanting to post something cheery, you manage to see the bright side. Using social media to track other people (what the researchers call "surveillance") isn't going to make you happier. But post your own photos and updates, and you're on a straight line to gratitude. Looking for the positive changes your perspective. A lot of research over the last dozen or so years has shown that gratitude improves health, lowers blood pressure, and even helps you sleep. Some psychiatrists say gratitude interventions work better than almost anything else in treating very depressed patients. Psychologists often suggest keeping a gratitude journal to improve your daily mood and focus on the good. Social media has become our public gratitude journal. "Facebook is all about sharing and liking with friends and family," said Mike Berland, a strategic advisor and CEO of Edelman-Berland. "Those are all elements of gratitude. Usually bad news spreads faster than good news, but on social media, it's the opposite." Facebook CEO Mark Zuckerberg embraces the bright side of social media. The platform is built around the Like button, after all. He announced this week that Facebook is working on a version of a dislike button with the goal of helping people express empathy, not disdain. Facebook currently counts 1.49 billion users worldwide, and the company reports some 65 percent use the site every day. That's a ridiculously huge number of people. You could say it's the biggest source for spreading gratitude in the world. "The Like button is a formal way of expressing gratitude. It's how we now say 'thank you for sharing—I appreciate this,'" said Berland. In a Town Hall question-and-answer session earlier this summer, Zuckerberg replied to a query about the future of Facebook by waxing poetic on how communications can help us find meaning and "build richer relationships with the people we love and care about." In other words, Facebook grows by being a positive experience. When one user posted a suggestion for a "dislike" button to Zuckerberg's Town Hall, hundreds of people immediately disagreed. No need….why spread hate? I want a Love button, said some of the replies. One user pointed out that it was awkward to 'like' a post about a sad topic so another suggested, Maybe just a "hug" button for those tough times. The algorithm for what appears on your Facebook newsfeed is the online version of the recipe for Coke—a corporate secret. But the broad outlines of both are easy to figure out—sugar and caffeine in one, gratitude in the other. On Facebook, 'like' someone's post and you'll see more from that person. If many people like or share a post, it gets wider circulation. "Being liked makes us feel good, so basing the algorithm in part on 'likes' makes business sense. If you spread the gratitude and make me feel good, I'll spend more time on the site," said Berland. Facebook has attracted a billion and a half people by giving them positive feedback for spreading appreciation and gratitude to others. Stephanie Wilchfort, the dynamic president and CEO of the Brooklyn Children's Museum, understands that a website is for sharing museum schedules and activities—and social media is for sharing gratitude. "I use Twitter and Instagram to thank museum supporters," she said. "Partners like being recognized, and my Twitter feed ends up being a list of good things that happened at the museum." Kaplan's latest book explores the power of gratitude. Since the museum gets some city funding, she's savvy enough to include local politicians in that Twitter feed. A thank you makes everyone feel better. Wilchfort's example is a good one for anyone handling social media for his or her company or nonprofit. Give people a quick jolt of warmth and thanks, and they'll want to stick with you. People respond to the positive, and expressing gratitude on social media brings in more supporters and followers. You can get in an occasional commercial message on social media if you've already set up the foundation of good will. "Facebook is like a journal of my best moments," said Wilchfort. "It balances out the tendency to focus on the negative. Even when I post something sad, the positive affirmation that comes in from friends reminds me that I'm lucky to have so much love and support." Monty Python suggested we always look on the bright side of life. The big surprise is that social media can help. 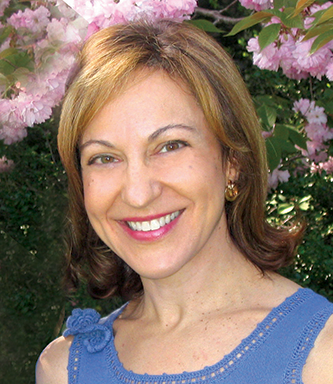 Janice Kaplan was the editor-in-chief of Parade magazine and is the author of a dozen books. Her latest, "The Gratitude Diaries," was published last month by Dutton.